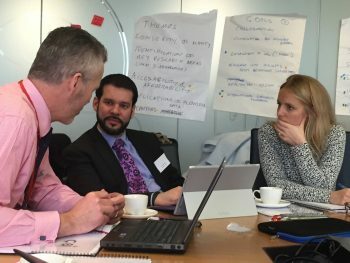 Focussed on how to use social media to deliver real value to businesses, the ‘SMfB’ consortium brings together practitioners from major European organisations representing a range of market sectors and industries. The consortium is designed to help companies experienced in social media, those building a reputation for innovation and those wanting to broaden and enhance their use of social media. Consortium members are piloting leading edge research to give them an edge in Marcomms, HR, Risk Management and Operations. Find out more here. Or contact us here with your questions.